"Connector rebuild kit - Willams/Data East power supply" has been added to your cart. 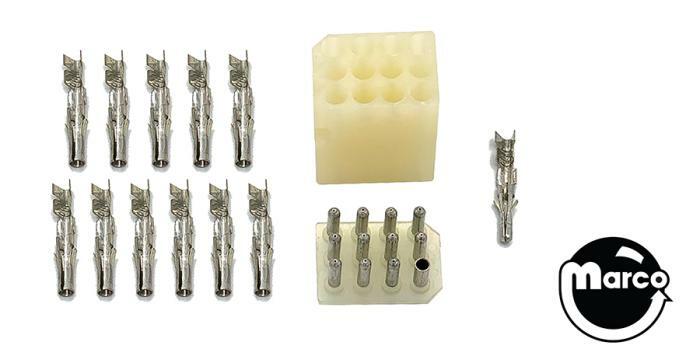 14 piece Connector Rebuild Kit will completely overhaul the troublesome Data East CN1 and Williams 3J2 male and female power supply connectors. 12 position cube housing.